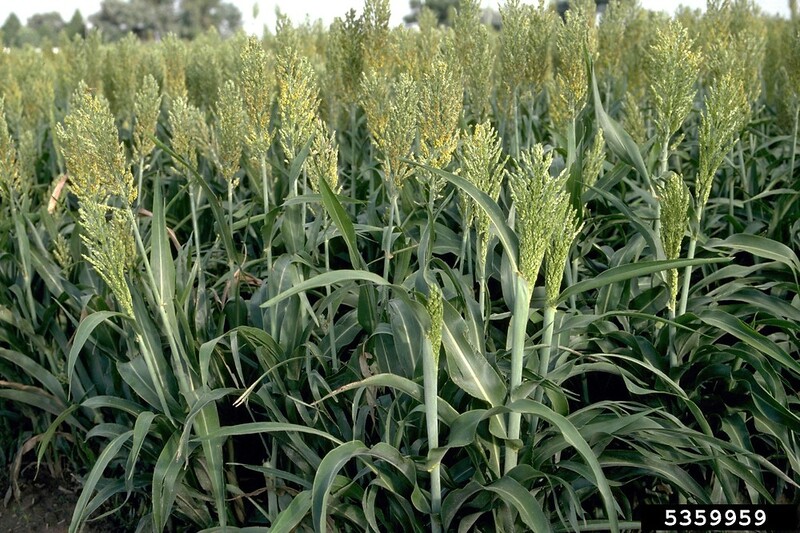 Sorghum is an important tropical cereal, native to Africa and widely cultivated in tropical and subtropical Africa and Asia. It was introduced to North America during the slave trade. There are two subspecies in New England. 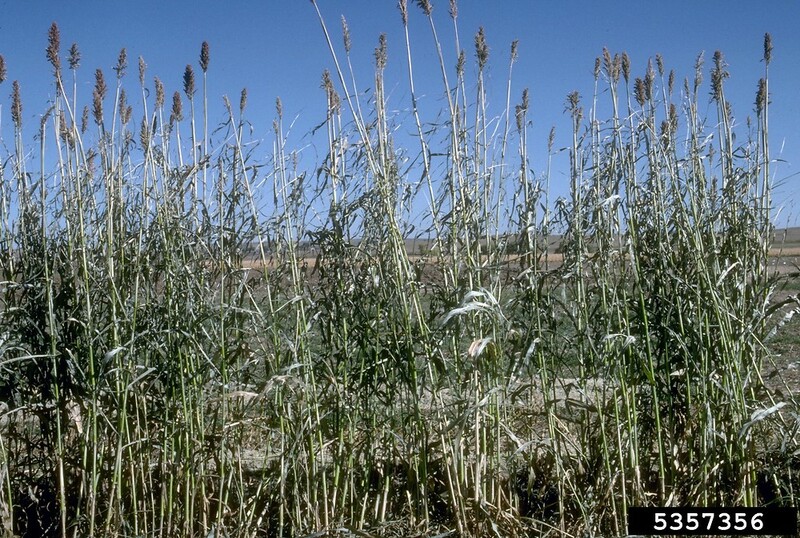 The more frequent (Sorghum bicolor ssp. bicolor) is derived from the cultivated strain, and is found in Connecticut, Massachusetts, Rhode Island and Vermont. The other subspecies (S. bicolor ssp. 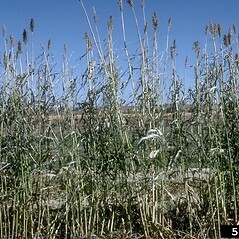 drummondii) is derived from a hybrid event, and has been collected only in Massachusetts. 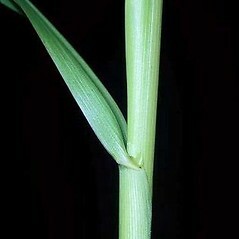 plants perennial, with rhizomes, leaf blades mostly 8–20 mm wide, and mature spikelets disarticulating (vs. S. bicolor, with plants annual or short-lived perennial, lacking rhizomes, leaf blades mostly 20–100 mm wide, and mature spikelets not or only tardily disarticulating). 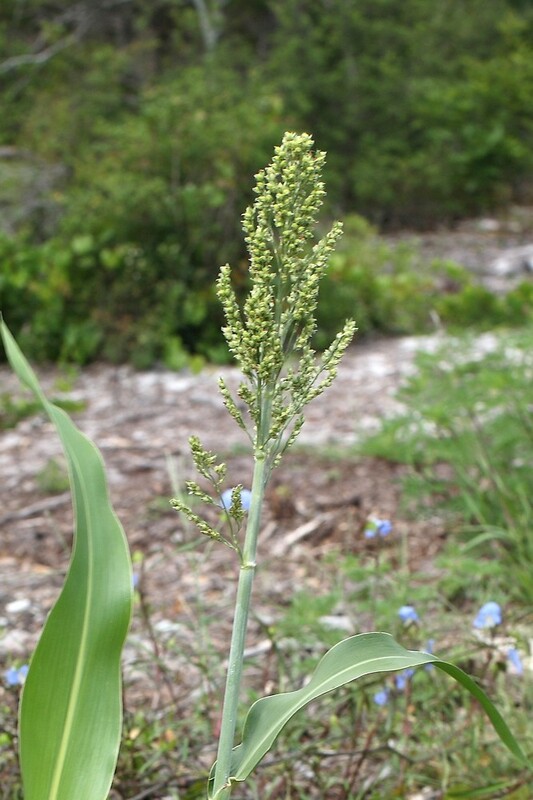 Sorghum vulgare Pers. var. technicum (Koern.) Jáv. 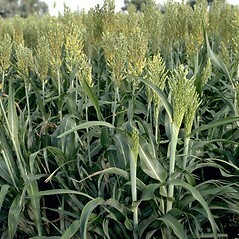 sorghum. 1a. 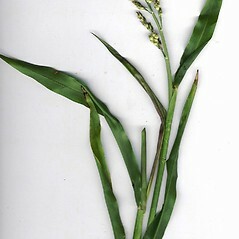 Holcus bicolor L.; H. sorghum L.; Sorghum vulgare Pers. ; S. vulgare Pers. var. technicum (Koern.) Jáv. 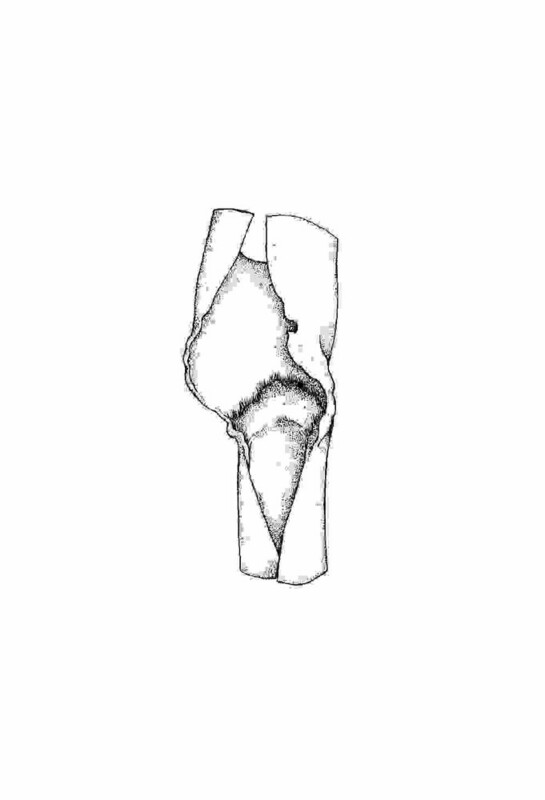 ; 1b. 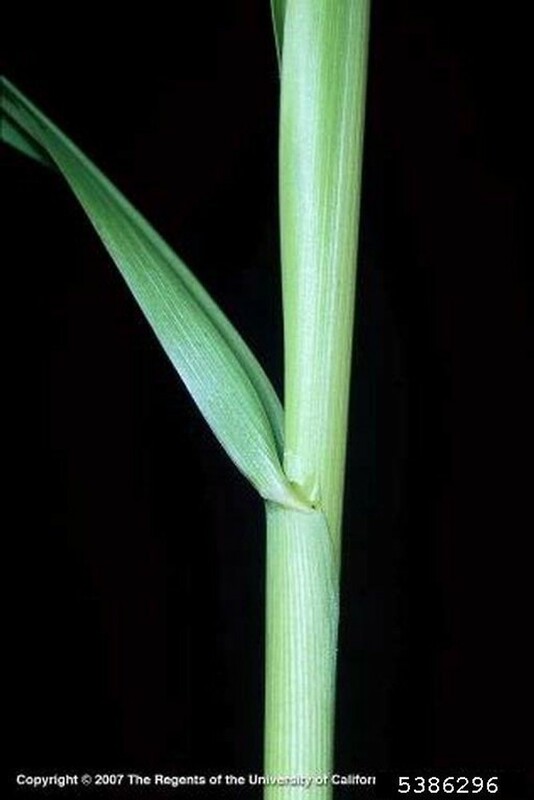 Andropogon drummondii Nees ex Steud. 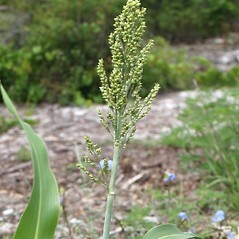 ; Sorghum bicolor (L.) Moench var. drummondii (Nees ex Steud.) Mohlenbrock; S. bicolor (L.) Moench var. sudanense (Piper) A.S. Hitchc. ; S. drummondii (Nees ex Steud.) Millsp. & Chase; S. sudanense (Piper) Stapf; S. vulgare Pers. var. drummondii (Nees ex Steud.) Hack. ex Chiov. • CT, MA, RI, VT; also reported from ME by Campbell et al. 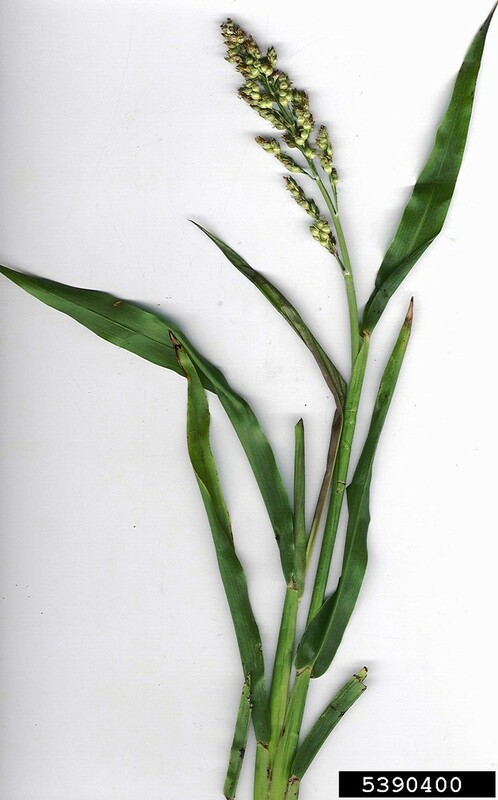 (1995), but specimens are unknown. Fields, disturbed soil, areas of cultivation. Subspecies bicolor is known from CT, MA, RI, VT. 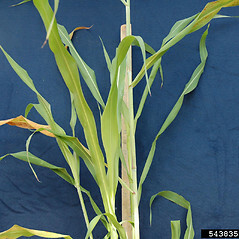 It is a cultivated strain that is derived from S. bicolor ssp. 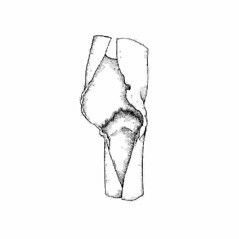 arundinaceum (Desv.) de Wet & Harlan. Subspecies drummondii is known from MA. 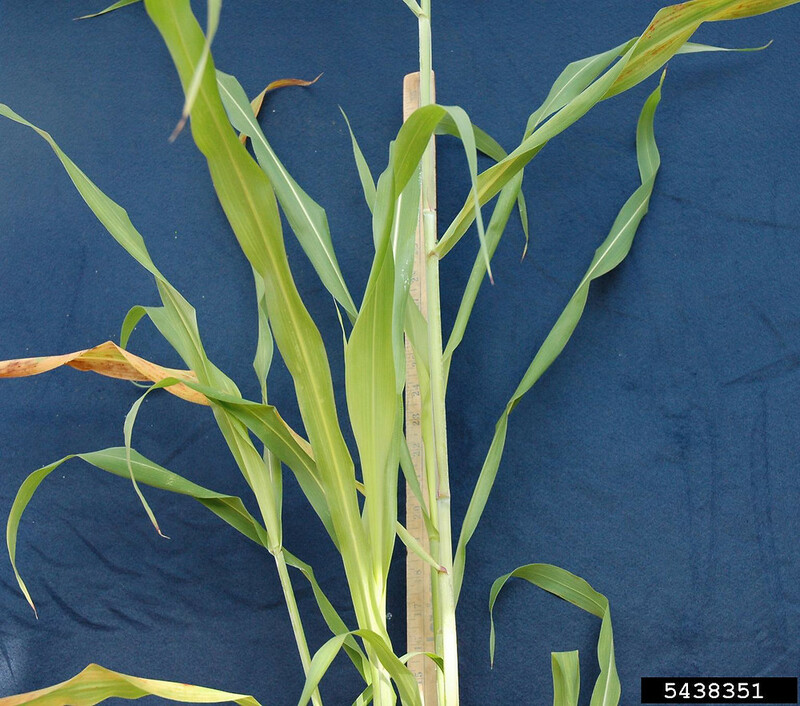 It represents hybrid derivatives of S. bicolor ssp. arundinaceum and ssp. bicolor.